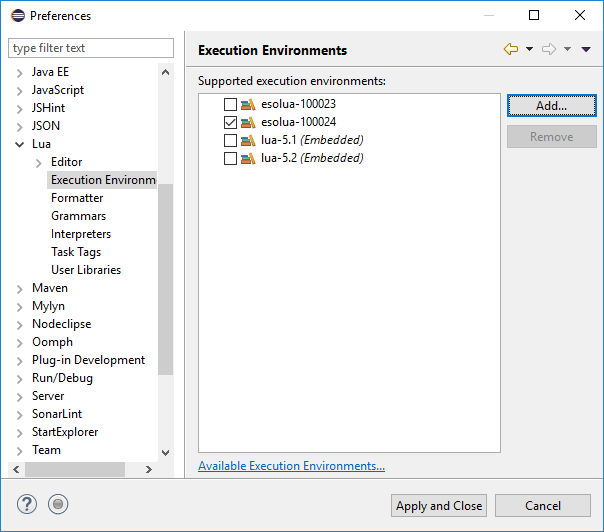 This project provides an Execution Environment for Eclipse LDT and XSD files for the ESO UI XML and Bindings XML files. The files are automatically generated from the ESOUIDocumentation.txt with a script which is available here. You can read more about the XML schema on my blog. Take note that I had to move the global constants into a subtable "G" which does not actually exist ingame. Otherwise there are just too many symbols in the global table and the autocompletion won't work. The version for live can be downloaded from the "Other Files" tab. 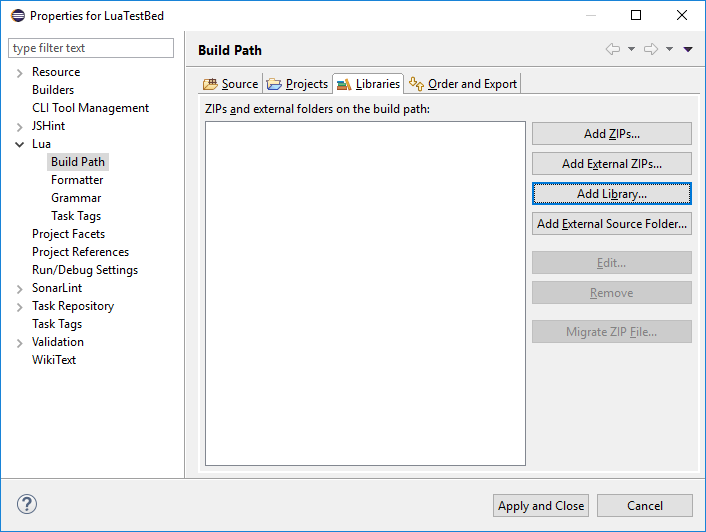 Add the extracted esolua.zip as a Lua Execution Environment in the Eclipse preferences. Afterwards you can select it as a library in the properties of your project. If you cannot see the entry for Lua, you will need to convert it to a Lua Project. When you press Ctrl+Space you should see the results. Eclipse will then automatically download the files from the URL (they will always contain the version for the current live build). If you don't want to rely on an external server or want to use a different version you can specify a local file to be loaded instead of the external file. Just go to the eclipse preferences and add an entry into the XML Catalog. 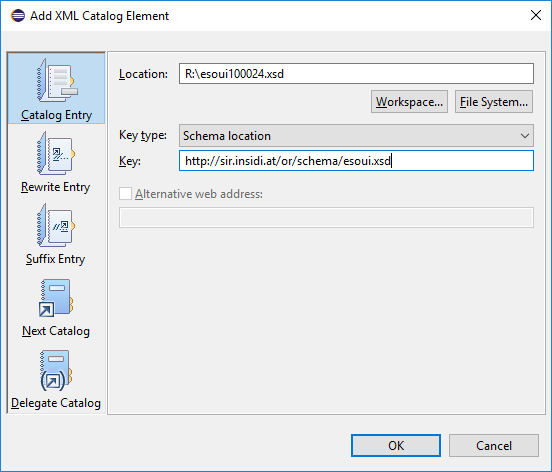 First select the location of the file, then choose "Schema location" as the key type and finally add the appropriate URL from above as the key. I have some small issues and need to fiddle arround whether there missing (or mis-)configurations, because I get sometimes DLTK errors in scripts of existing addons but will inform whether this is a local issue or may has some influence by selecting the esoui execution environment rather then default embedded "lua 5.1".